Each season, we perform at select events that help raise funds for organizations that support our mission and vision. 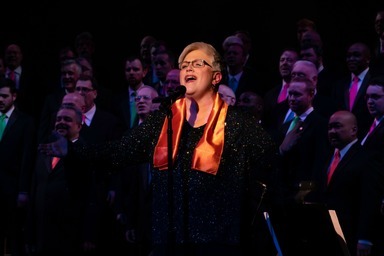 Benefits have included concerts for the Evergreen AIDS Foundation, marriage equality rallies, PFLAG Chapters across the state of Washington, Camp Ten Trees, Providence Senior and Community Services and Lifelong. In addition to mission-focused benefit appearances, our choruses have limited availability for paid performances and outreach with select community partners. 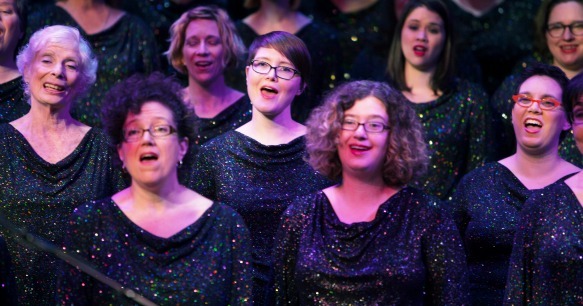 As a volunteer chorus our available performance time is limited and our calendar fills up quickly each year. Please note that we do not consider cocktail-style events or those that involve providing background music during an active event. 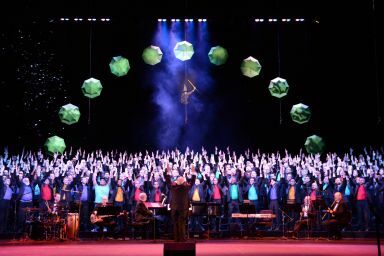 Are you interested in hiring us to perform at an upcoming event, or are you interested in sponsoring a chorus or ensemble for a special community performance? Start by filling out the form below. Paid performances start at $1,000 and are negotiable, based on performance length and location. Expected size of the audience? Expected age range of the audience? Is there a budget/fee offered for the performance? Will the audience be eating during the performance? Is there a keyboard/piano available at the venue? Is there sound system and equipment available at the venue? Is this an LGBTQ/friendly event? Can we sell our merchandise at your event? Are you willing to waive any commissions on merchandise sold? The latest news and personal stories from the Choruses. Add your voice to ours!